Troy Ave need a lot of money right now for his legal fight and he is looking to get some from Live Nation and Irving Plaza. The New York rapper has filed a lawsuit against Live Nation and Irving Plaza, the NY Daily News reported. Troy Ave is now out on a $500,000 bail and is gearing up for a big legal fight to prevent himself from serving a lengthy prison term. You can recalled that Ave was involved in a shooting incident at Irving in New York on May 25 where his bodyguard Ronald McPhatter was shot and killed and he himself was shot in the leg. Another concert goer was also injured in the shooting incident at T.I. concert. 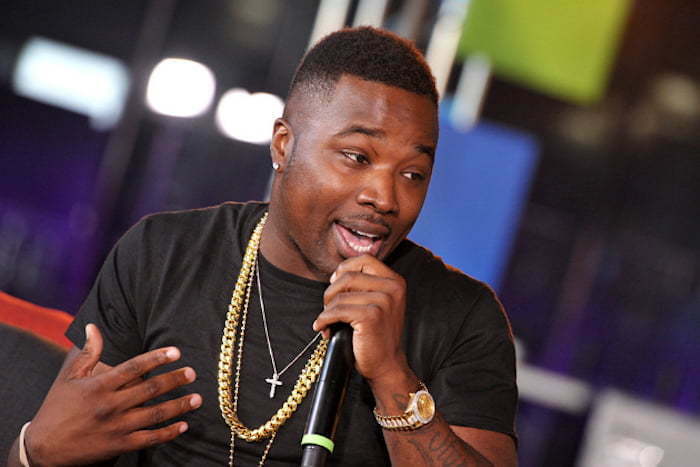 Police also released video surveillance showing Troy Ave, real name Roland Collins, discharging a gun inside a crowded room backstage the concert. He was arrested and charged with attempted murder. Detectives are also investigating whether or not Ave fired the fatal shot that claimed the life of McPhatter. In His legal docs, Ave’s attorney argued that the promoter and venue should have taken past shooting incidents involving rappers into account and provide better security. These incidents including “Tupac Shakur, Sean ‘Puffy’ Combs, Notorious B.I.G., Trae and Jam Master Jay” which they say all took place in music venues similar to Irving Plaza. T.I. was not named in the lawsuit.